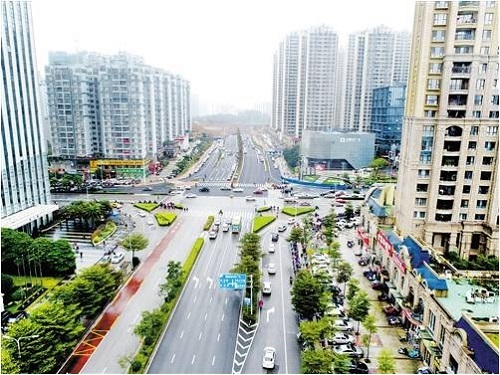 Recently, it is learned from Nanning Municipal Development and Reform Commission that with the approval of Nanning Municipal People’s Government, Nanning Municipal Development and Reform Commission officially issued the Investment Plan for Urban Construction Projects in 2019 (Phase I) (hereinafter referred to as the “Urban Construction Plan”), including 657 arranged projects to be implemented. It was reported that the Urban Construction Plan was made with the purposes of “Promoting Development, Overcoming the Weaknesses and Improving People’s Well-being”. Among these purposes, in terms of “Promoting Development”, the Urban Construction Plan states that we must take serving the urban development as the core, improve the traffic connections between different districts, and continue to arrange the construction of a batch of major urban construction projects, such as Metro Line 3, Metro Line 4, Metro Line 5, the east extension line of Metro Line 2, the expressway changed from original highway, as well as the east-west expressway; we will further improve the business environment, and implement the building of a number of supporting roads around key industrial projects, so as to serve the industrial development.